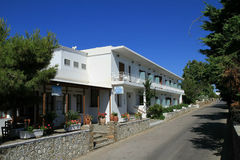 Artemon hotel, renovated in 2004, located in the central square of Artemonas, just 1 km from the capital of the island and 6 km from the port of Kamares. Located in a central location with unobstructed views of the surrounding villages and the sea, and allows you to discover the hidden beauties of the mansion in the settlement houses, wandering the quaint streets. Welcome to Artemon online booking system.